My M.O. this Valentine’s Day has been to make a handful of easy, tasteful Valentine’s crafts that can last long into the spring! For example… this succulent wreath, this shadow box, and these embossed dish towels! 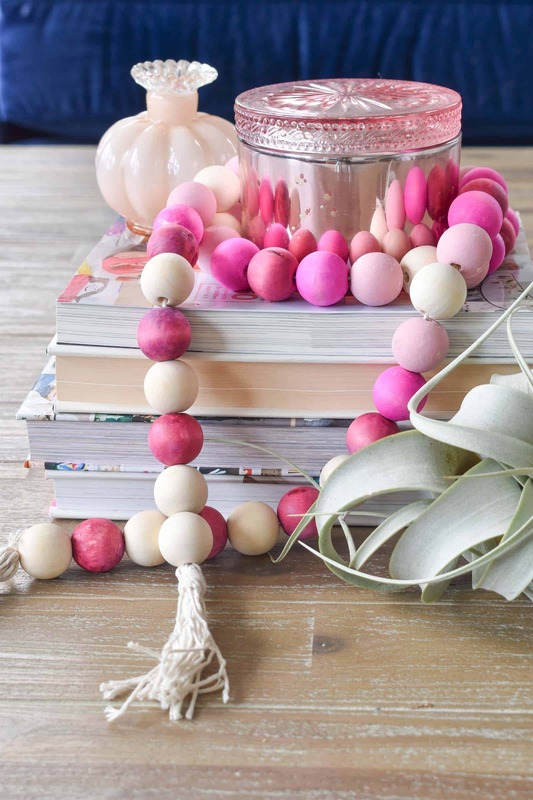 Today I’m sharing an even EASIER project… these sweet wooden beads. 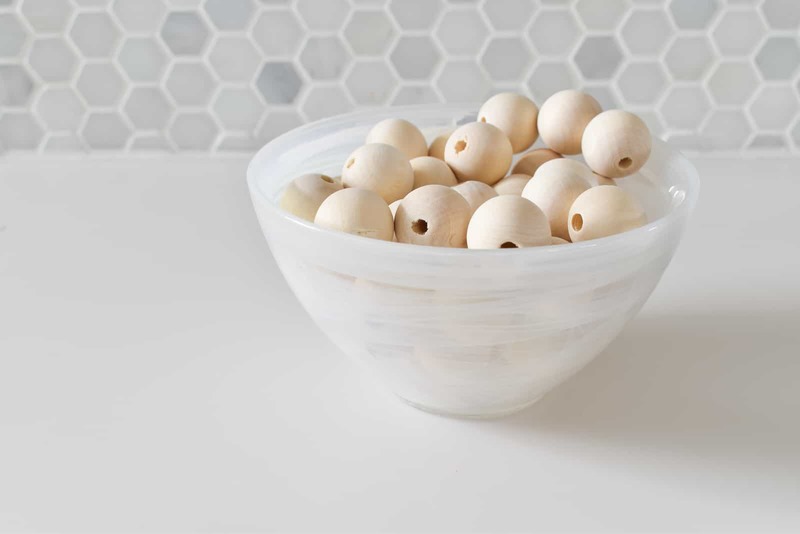 Thanks to Joanna Gaines, wooden beads have popped up everywhere! 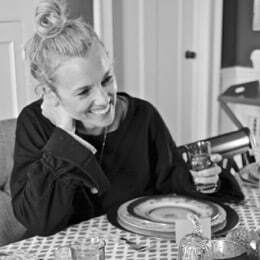 I actually don’t know if she’s responsible, but I give her credit for most rustic-y home decor details. 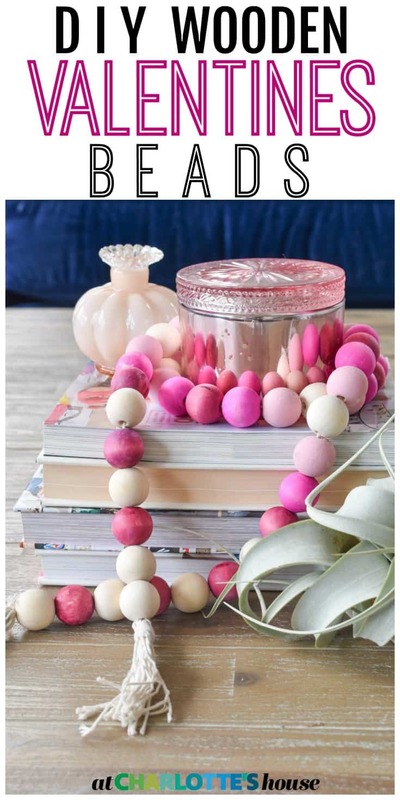 Personally, I love wooden beads for the neutral little bit of texture they add to a vignette, so I figured why not make a set for Valentine’s Day! 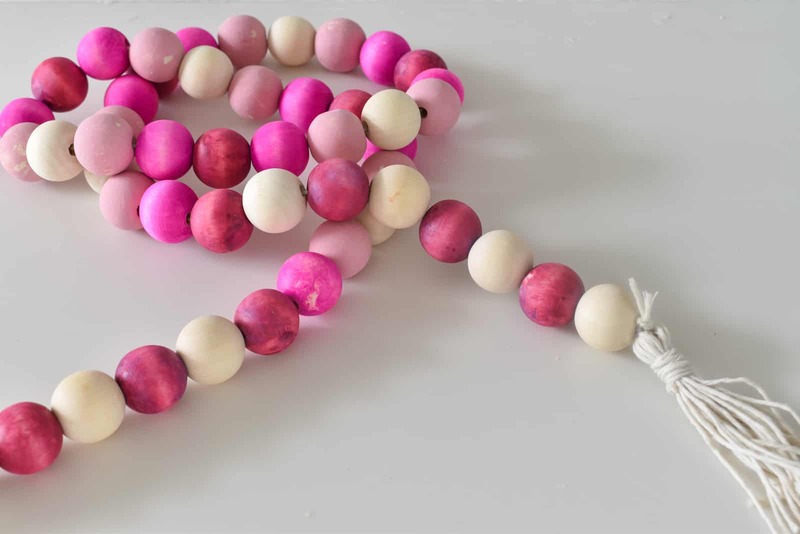 I ordered these beads from Amazon… they’re 1″ but bigger would have been even better! To quickly color them, I divided them into quarters and placed each bunch into a bag. 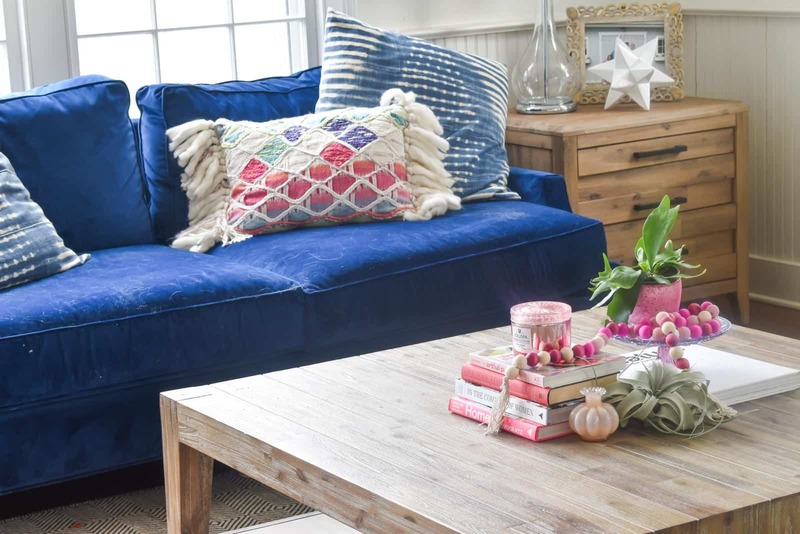 I used what I had in my craft closet: this dye and this paint. I simply squirted a little bit into each bag, sealed the bag and then shook it until the beads were covered. 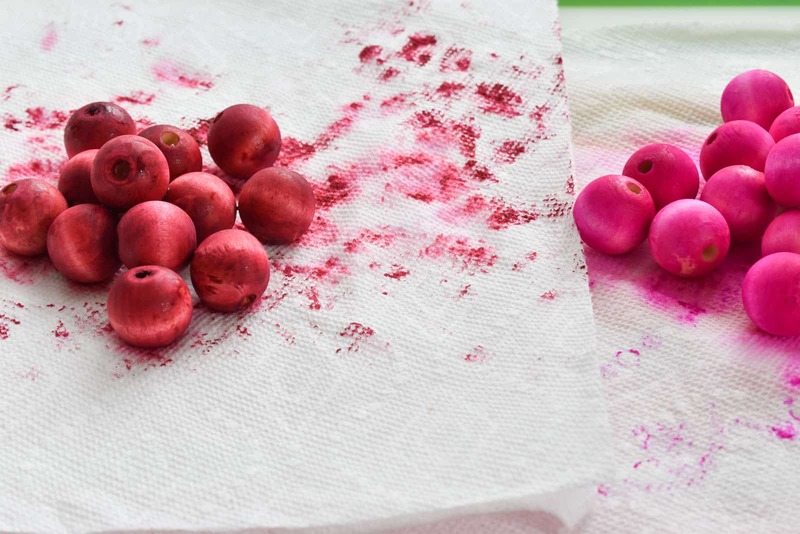 I immediately poured the beads onto a paper towel to dry. 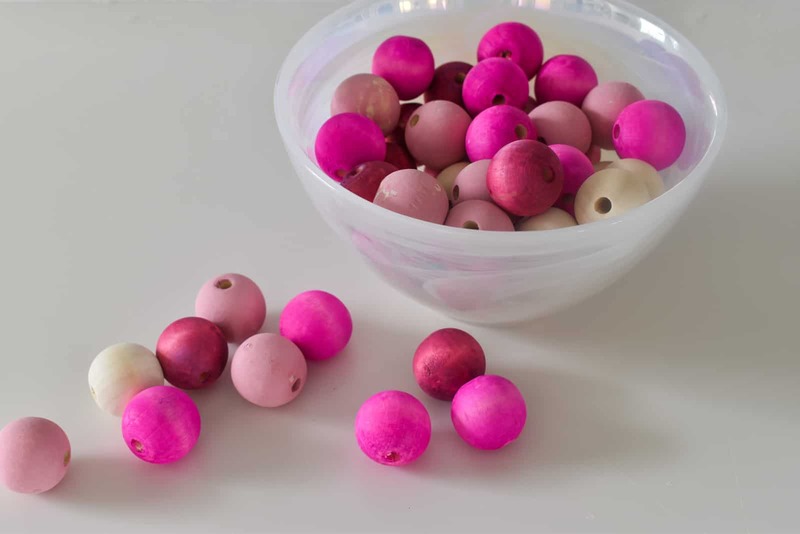 For the dyed beads, I actually rinsed them quickly under cold water to remove excess stain. Using basic cotton twine, I strung them all together and then finished it off with a tassel. How simple is this project? 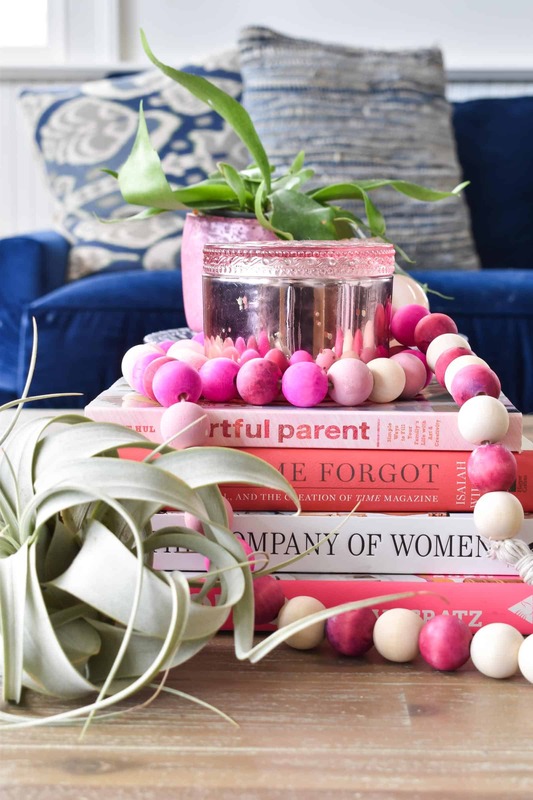 I love that little bit of pink and red that this adds to a mantel or a shelf… it’s not lacy hearts or cupids, but it’s just right for this time of year! These are adorable and i love your technique for coloring them, that’s genius!